Understanding hazard is at the same time the starting point for understanding risk and the least controversial part of risk in the context of the PAR model and of conceptualising risk. Hazard in this context is, in most cases, the natural component. Following the debates about the use and discontinuation of the use of ‘natural disaster’ [6, 7, 8], hazard can be understood as the only (potentially) natural component of disasters. Hazards exist in nature and society in all forms, including traditional natural hazards such as geo-hazards (e.g. earthquakes or volcanic eruptions), hydro-hazards (e.g. tsunamis or floods), or—in the context of this paper most important—biohazards (such as all disease-causing micro-organisms). A separate category in this context is technological hazards, which are not per se natural but driven by human action. The term and concept hazard does, however, make no comment about the level of risk these hazards pose to humans (or animals, the environment, society, or the economy for that matter). In order to understand the potential risk associated with a hazard the dimension of vulnerability is necessary. 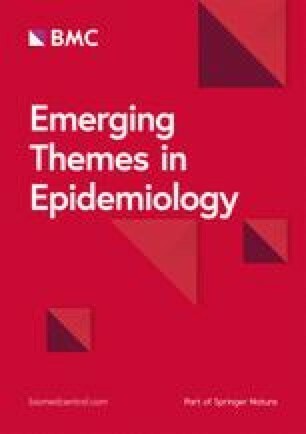 While definitions of resilience are highly contested  and the benefit and potential harm of the concept of resilience itself has been debated in the context of neoliberal society [13, 14, 15], all definitions of resilience carry with them at least some aspects of absorbing, changing and carrying on  as well as of recovery . These ideas are often augmented by conceptualisations about resistance, absorption and restoration  and the ability to ‘bounce back’  or even to emerge stronger. Schoon describes resilience as “a two-dimensional construct defined by the constellations of exposure to adversity and the manifestation of successful adaptation in the face of that risk” . As such, a complete conceptual understanding of risk, including its components is, if not necessary, then at least highly beneficial to understanding and thus actively fostering resilience. Active disaster risk reduction enhances resilience. This holds true for global health emergencies as much as for other disasters. While reducing the hazard (the disease-causing organisms) is an admirable intention, it is also highly dependent on the specific type of bio-hazard. Focusing on the vulnerability side has the advantage of also offering perspectives for situations of unknown hazards. Thus, there is a need to increase focus on the vulnerability side of the risk—including both susceptibility and exposure to the hazard. This approach holds the greatest promise of producing enduring resilience and therefore to a sustainable global health emergency response. For dynamic pressure, the updated PAR model for health emergencies does not negate the importance of the originally stipulated dynamic pressures (lack of training, lack of local investment, lack of press freedom, rapid population change, rapid urbanisation and deforestation). However, if the risk that is being examined is that of a health crisis more suitable dynamic pressures can be found and substantiated by the evidence. We suggest the following dynamic pressures: arms proliferation, armed conflict, displacement, violence, lack or breakdown of government services, lack of access to health care, and food insecurity. Arms proliferation is a direct precursor to armed conflict, which is arguably one of the main drivers for health emergencies that are secondary to a humanitarian crisis. Armed conflict and violence together foster a climate of insecurity which is conducive to disease outbreaks through a variety of mechanisms [26, 27, 28, 29, 30, 31, 32, 33, 34, 35]. Population displacement leads to a lack of access to health services [27, 30, 36, 37, 38] and generally unsafe living conditions, both in camp and community settings [26, 27, 29, 30, 31, 32, 34, 35, 36, 37, 38, 39, 40, 41, 42, 43, 44, 45, 46, 47]. A lack or breakdown of government services can lead to a breakdown of health related infrastructure including individual health services and population health services such as vaccination [26, 27, 29, 30, 32, 33, 34, 35, 36, 38, 39, 40, 41, 42, 43, 44, 45, 47, 48, 49] as well as a breakdown of other (critical) infrastructure and coordination [30, 32, 34, 35, 37, 50]. All of the preceding can produce health emergencies. Food insecurity can be seen as a key precursor to malnutrition which is an important risk factor, both at the level of population and at the individual level, for communicable diseases [27, 30, 32, 36, 38, 39, 40, 41, 42, 49, 50, 51] and other health conditions [52, 53, 54]. In terms of unsafe conditions, we propose inclusion of the following, which are all highly conducive to ill health and direct or indirect progressions of the aforementioned dynamic pressures: overcrowding, insufficient vaccine coverage, high exposure to disease vectors, inadequate shelter, and poor water, sanitation and hygiene (WASH). Overcrowding, which can result from both displacement and entrapment, facilitates the spread of diseases from person to person and is thus a key risk factor for communicable disease outbreaks [27, 30, 32, 35, 36, 37, 38, 39, 42, 49, 50, 55, 56, 57, 58, 59, 60, 61, 62, 63, 64, 65, 66, 67]. Insufficient vaccine coverage is produced both by a breakdown of government services, especially population health services, and by unvaccinated persons being displaced into areas with higher disease prevalence. Absence of vaccination has for example been identified as an unsafe condition in the example of the European migration crisis [61, 62, 64, 68, 69, 70]. Similarly, increases in the presence of disease vectors, such as specific species of mosquitos the likelihood of an outbreak and of the transmission of vector-borne diseases [29, 61] have significant consequences. Inadequate shelter without proper heating, ventilation and cooking facilities has implications both for communicable diseases [30, 32, 35, 39, 41, 56, 60, 61, 62, 66, 71] and for non-communicable health such as asthma and COPD especially if indoor fires are used [30, 32, 39]. Finally, the role of poor WASH as a risk factor and as such, as an adequate unsafe condition for communicable diseases, has been well documented [27, 29, 30, 32, 35, 36, 37, 38, 39, 41, 49, 50, 51, 59, 60, 63, 66, 67, 72, 73, 74, 75].